Note: All Questions from Part A are to be answered at one place. 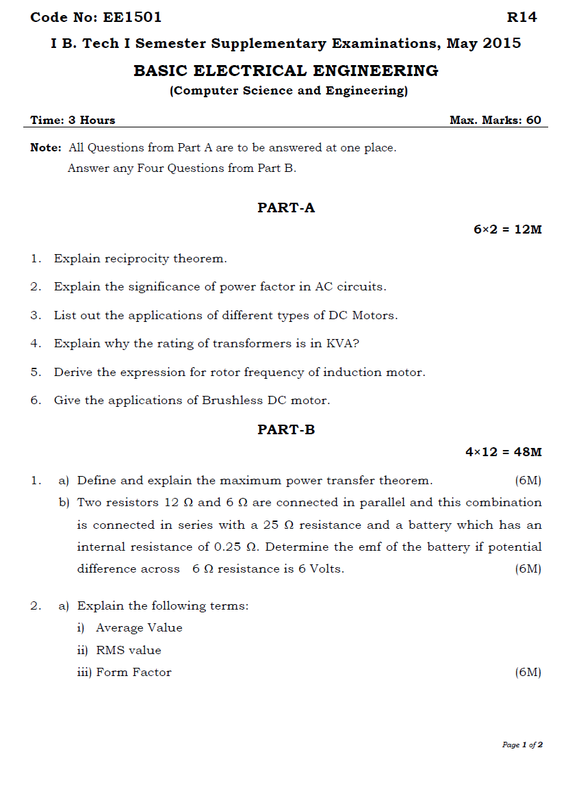 Answer any Four Questions from Part B. 2. Explain the significance of power factor in AC circuits. 3. List out the applications of different types of DC Motors. 4. 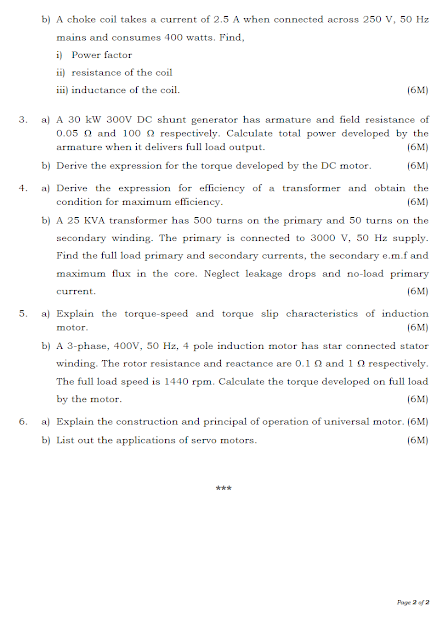 Explain why the rating of transformers is in KVA? 5. 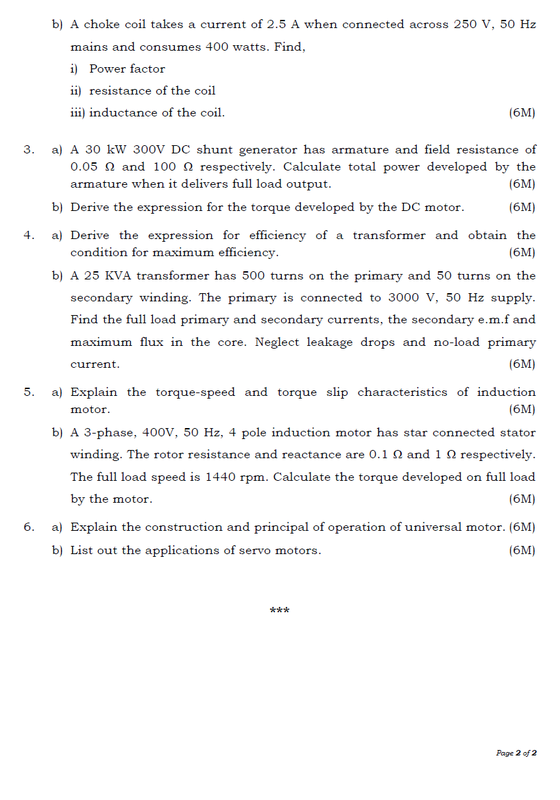 Derive the expression for rotor frequency of induction motor. 6. Give the applications of Brushless DC motor.